The availability of excellent, free web-based resources has led millions of instructors to incorporate online content into their online courses. The problem is that these resources are not permanently available. Copyright violations and repository changes often lead to video and other resources links getting broken. What are instructors, faculty and trainers to do? Since September 4th, I've had the following video up on my blog (http://www.youtube.com/watch?v=eKZ_GQBPQ4M&w). But don't bother looking as it not longer works. It was removed for copyright violation (at least that was the reason the pop-up message gave when I clicked on it yesterday). Not that I'm upset, I’m too busy still feeling grateful that I can even access such material. After all, I remember a time when video was available in only two places - the TV and the movies. 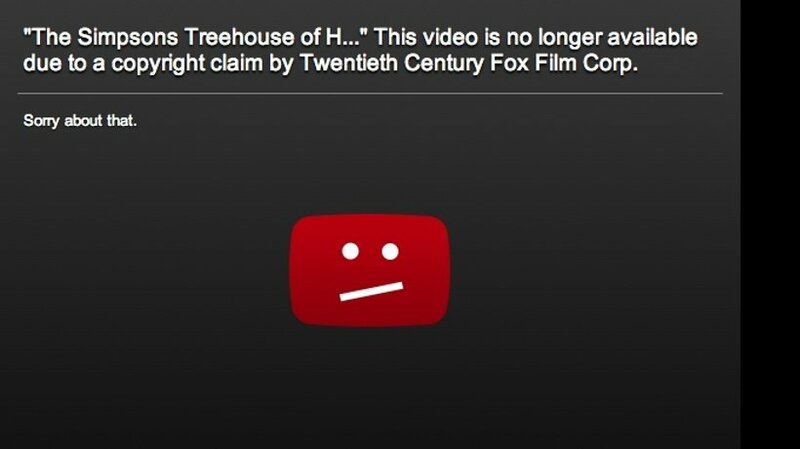 Getting mad at the fact that a free, readily available resource is no longer available on YouTube (it's probably on Fox, Hulu and a number of other sites) is like throwing a fit because your uncle gave you a check for Christmas instead of cash, thus requiring the effort to make a trip to the bank to make it spendable. I marvel at the availability of professionally produced videos - and that's a problem. I'm inclined to take as much as I can and horde it. Educators have the same desire and it’s no wonder. The vast availability of streaming videos has made hundreds of previously bland, text-heavy online course pages become dynamic with colorful links to TED Talks, university lectures, nursing simulations, YouTube videos, etc. Ho-hum black and white pages with blocks of imposing tiny type are cleared to make room for gorgeous squares of videos. Text that once caused the scroll of death for course pages is re-dispensed in dynamic, easily digested moving pictures. And videos mean less time spent planning lessons. Instead of creating additional activities or lectures to cover content, a teacher can merely preview a video for relevancy and appropriateness and link (or embed if you're a bit more tech-savvy) straight into the page. It's great until the video is suddenly and inexplicably no longer available. Gone. And with it, your activity, lesson, or course. I remember a series of lectures disappearing from our online business program when the university that produced them moved them to a new website, breaking every last link. One minute our pages were richly populated with hours of lectures by esteemed financial, marketing and commerce authorities, the next they were white pages with columns of blank, black screens and a few lines of unrelated text. And unreliable availability of content isn't limited to videos. I have seen journal articles, websites, simulations, and many other online resources disappear, with and without accompanying explanations or redirects. What is an educator, trainer, or instructional designer to do when using online resources becomes as risky as building property on permafrost in Alaska? Personally, I opt to keep using them as they’re rich and dynamic resources. However, I won’t be the one providing the resources. My solution prevents the risk of precious videos/articles/websites disappearing, saves the instructor hours of work and is a far better teaching method. Instead of the instructor or teacher providing the content to teach a concept, simply teach the concept and assign students the task of finding the resources that best explain or exemplify the content. For example, in a beginning statistics class, an instructor wants students to fully understand the difference between mean (average), median and mode and show real life examples of each concept. By assessing the relevancy and accuracy of the chosen resources to the taught concept, the instructor can evaluate how well the students grasped the lesson. Instead of giving a test, the instructor measures student understanding by assessing the quality of examples students bring in.